Following Thanksgiving starts the month of not so structured training! I THINK I AM IN LOVE! Okay let's start with I am having a hard time with this whole not structured training but I am trying to get used to it. So there are a few swim bike and run with some new plyo workouts each week. I am doing weekly Computrainer classes on Saturday morning. I am really liking this- WAY better than the trainer!! And seeing the gains in my power! Sundays have become NO SBR (swim bike run). So I have been trying to get creative. 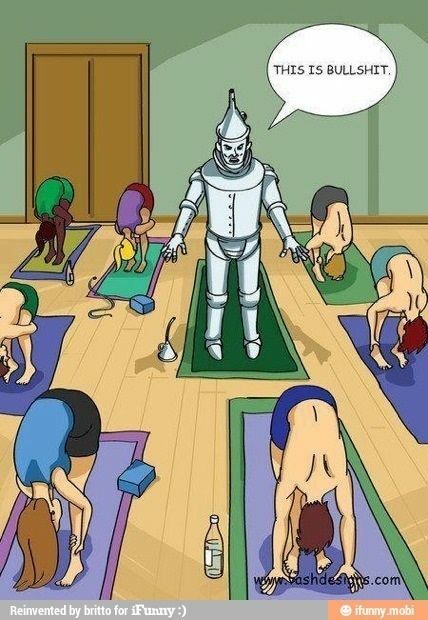 I have a few ideas But my fall back is always- BIKRAM! So I really wanted to go at least once a week this winter. I have been doing pretty good. Even with the start up of swim team. Which luckily coincided nicely with the new Bikram Challange at the studio- do 25 classes in 32 days between Thanksgiving and Christmas. Well I know that isn't going to be possible with my coaching schedule but I figured it was a good excuse to try to come a little more. On the first night of my swim team practice I somehow convinced a few of my Luna Run team ladies to join me at Bikram. I had been all amped up all day with practice so may not have been the best idea. Especially since I ended up being the kid who had to leave the room and puke! LOVELY! They all did well. And have mentioned going back! I have noticed I have gotten to the point where I finish class and don't have the OMG that was awful feeling! I kind of just zone out and do the postures. I am really working the standing series stuff my damn legs just don't want to lock! But doesn't mean I won't try! The spine strengthening series on the floor I am starting to learn a lot about, but I think it is paying off! My Fixed Firm Pose has finally gotten so my hips are touching the ground between my knees and I am so close to the floor with my head.... I am willing it to get there!! SOON!! It has taken YEARS for my hips to touch so I will take it! 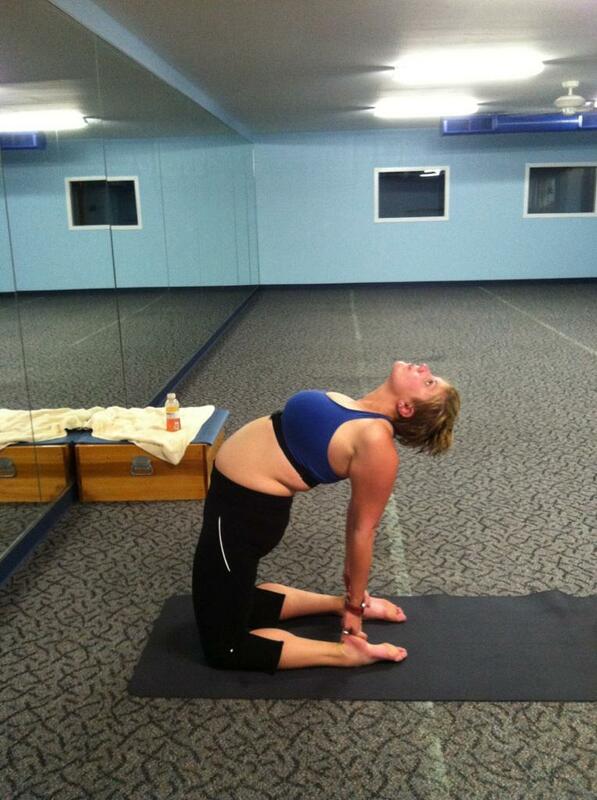 My camel has gotten to the point now that I can do both arms both times through the postures! Maria even took a picture for me. I'm gettin' somewhere. Everyone says I should try and do more days. I wish I could make it work. So for now I will keep doing as much as I can!